The Rathmann Challenge has awarded Vision To Learn, a nonprofit organization which provides free eye exams and free glasses to school children in low-income communities, its first ever “Even Bigger Idea®” grant. The $200,000 award will provide funds to help support Vision To Learn’s expansion into several new states. Founded in Los Angeles in 2012, Vision To Learn utilizes mobile vision clinics, staffed with licensed eye doctors and opticians, to provide quality vision care to kids where they are every day – at school. The program is innovative both in its delivery model (which provides access to kids who otherwise would not receive care) and in its sustainable public-private funding model. By credentialing as a Medicaid provider, Vision To Learn creates a bridge to eye care for students who have vision insurance, but no available provider to get the glasses they need to succeed in school, and in life. By pairing public Medicaid dollars with local philanthropic giving, Vision To Learn has served kids in 138 cities in California, Delaware, Hawaii, Iowa, Maryland and Michigan. This “Even Bigger Idea®” grant will support efforts to replicate and grow this model to serve students in additional communities. “The Rathmann Challenge has been proud to support Vision To Learn’s transformation from a scrappy, not-for-profit serving kids in one school district, to a national trailblazer aligning Medicaid funding to support student vision health. This grant will support Vision To Learn’s strategy of pairing private philanthropy dollars with federal funding sources to support the establishment of mobile vision clinics in cities across the nation, serving tens of thousands of additional children,” said Richard Rathmann, Executive Director of the Rathmann Family Foundation. Since its inception, Vision To Learn has helped screen over 330,000 students, provided 63,000 with eye exams, and over 47,000 with glasses – all free of charge. Research conducted by the Mattel Children’s Hospital at UCLA confirmed children who received glasses from Vision To Learn have increased math and reading scores. An estimated 2 million U.S. children have untreated vision problems. 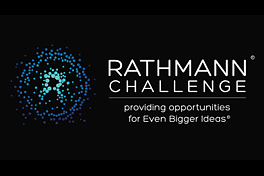 Launched in 2014, the Rathmann Challenge engages nonprofits with forward-thinking ideas that are willing to challenge themselves and their professional colleagues to come up with a better solution. The Challenge seeks programs with a creative and effective approach to making a positive difference in the world through their directed passion, big ideas and energy. Offered biennially, the Rathmann Family Foundation selects and awards $100,000 to a Challenge Recipient, as well as $5,000 to at least two Honorable Mentions. A Rathmann Challenge Recipient has a proven ability to implement a successful program, and is invited to prepare an Even Bigger Idea® application for the Rathmann Family Foundation. The Even Bigger Idea® invitation is an exclusive opportunity to receive an additional $200,000 grant, payable as $100,000 for each of the next two years.